A recent trip to one of Crete’s most famous villages reminded us of the island’s most precious gift, the philoxeníā (φῐλοξενῐ́ᾱ) exhibited by Cretans. 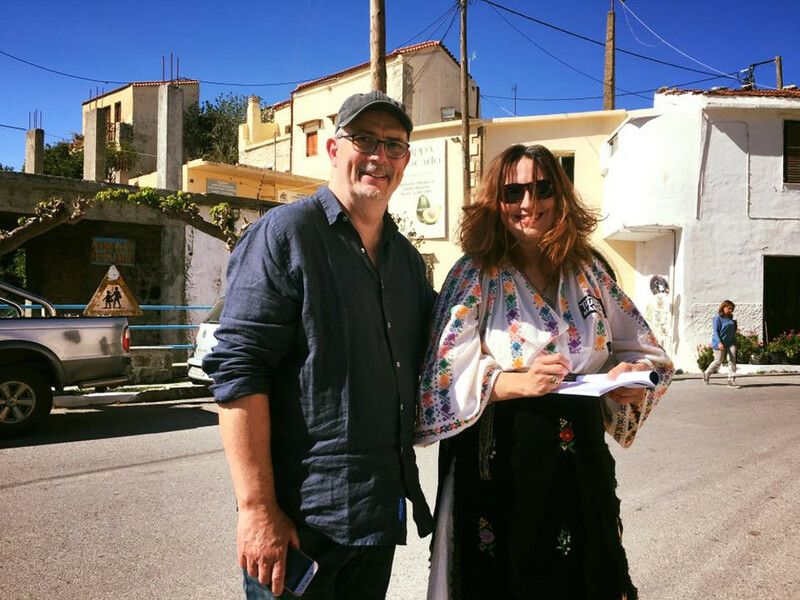 Visiting Rethymno Prefecture and the community of Argyroupoli (ancient Lappa) over the Easter holidays, our team found a gem of a local tour guide named Manolis Neonakis (above at left). Here’s a short story that tells us how ordinary people are more often than not the superstars of travel. In the run-up to a Travel Massive cultural tourism conference, we were to help organize, my partner and wife Mihaela Lica-Butler, me, and our son Paul Jules made a reconnaissance run to Argyroupoli a couple of weeks before the events slated for the Orthodox Easter weekend. In preparation for stories, news reporting, and especially for special occasions dependent on in-depth understanding. The Argyroupoli meetup, “Traditions as a tool for Rural Economic Development” was just such a special meet-up. So, on the spur of the moment, we drove ahead to ancient Lappa to inspect and to possibly meet one of the coming event’s organizers, Argus Suites Yiannis Deligiannakis, who as the fates would have it was in Chania all of that particular day. Who knows why we did not call ahead, perhaps the same fates cried “just go” for a greater purpose? After locating Arcus Suites in order to meet with Yiannis, we were discouraged when I called Yiannis on mobile and discovered he was away on business. Determined to walk ancient Lappa on our own, the three up us set off in search of the several landmarks we’d read about online. I was particularly miffed because Arcus Suites, by all outward appearances, was an extraordinary labor of love in restoring ancient Venitian villas. Be that as it may, we did not get ten meters before a friendly man with a sweet smile reached out his hand to us. Manolis Neonakis is one of those people who cuts a familiar figure, especially if you’ve some experience under your belt like me. Anywhere I’ve ever been I’ve found what you might call a “local historian” – somebody proud enough, and with a good memory of the place they grew up. On Crete, such people are imbued with additional special qualities like an abundance of love for strangers to tell their stories. So it was, Manolis took us on what I would call “the real tour” of this extraordinary ancient town. Have you ever met a village who knew every stone and crevice of the place he called home? I am sure you know at least one somebody in a town who can recite three stories for every house entry. But Manolis’ tour skills required a little bit deeper grasp of place, history, and even architecture. And doubly so, since he speaks not a one-single-solitary word of English. Using that universal language all humans possess inside, the Argyroupoli retiree leading us around somehow got a grasp of the ancient Minoans, Romans, Byzantium, the Venetians, and even the Ottoman Empire. Ancient Lappa is about humanity’s early empires you see. A keystone to an arch where animals are now fed betrays the ravish richness of Venetian times. A classic Greek column, or a Roman one, now supports a wall, work table, or serves as the base for a fantastic flowing vine. On our little tour of Manolis’ neighborhood, we’d stop here and there as he pointed to a bit of disjointed antiquity, seemingly out of place in a modern wall, and so on. Climbing like kids all over Argyroupoli, picking the last orange for Paul from the top of a tree in the chapel courtyard, mounting a makeshift ladder down a Roman wall to a hidden pasture. That banana tree (if you can imagine), and finally, to a little shack a NASA satellite could not spot, the path of life for this villager is a real intrigue. In the time it takes the average tour guide to answer stupid questions, an old man of Lappa showed the three of us a separate cultural reality. There, tucked away in childlike hiddenness, Manolis’s workshop was a treasure chest of life in the village. A funny medal received from the Russians, an ancient land camera, a phonograph, dozens of books and pictures, archaic tools and toys, the sight of it all brought me back to being a kid. Manolis it seemed, saved his life in that little shack. Then there was the Raki, near perfect as he dispensed it generously from its small jug on the shelf. Robust and ideal quality, our eyes sparked a bit – don’t you know? A gift for Paul, one of those little heirlooms you’d expect to find in a hermit’s hut, and it was time to leave. Big hugs, solemn waves, and the feeling something special had just happened. You can feel me, I know. Then. 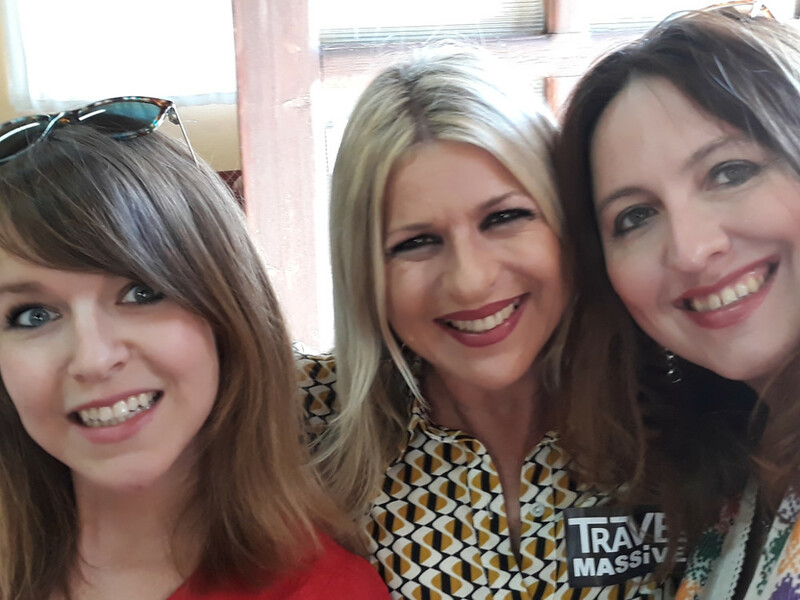 Two weeks later we arrived for the “Lighting of the Candles” celebration in Argyroupoli, and for the Travel Massive event, Mihaela and some of our other colleagues were to speak at. Wrapped up in the “hellos” and new introductions we were, as is natural. Officials, speakers, village spokespersons, a gaggle of local shopkeepers and tourists let us a bit frazzled and disoriented the first day of events. 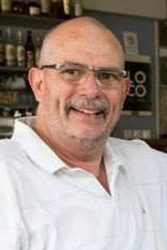 Then, out of the crowd, a familiar face shone, a wave and a gentle smile – “Manolis my friend,” as we smiled back and waved enthusiastically. Our friend was delighted as we were, and he could not wait to buy us refreshments at one of the little tavernas on the square. I remember trying to pay, only to have Manolis insist, gesturing for this, that, more, anything we wanted. “What a sweet man,” I thought. I bet his pension is, like most here in Greece, reduced and reduced and reduced to pay the IMF back. That’s another story; this one needs to end up sweet and funny, like Manolis himself. A highlight of this visit with Manolis and Argyroupoli came about it a funny way. 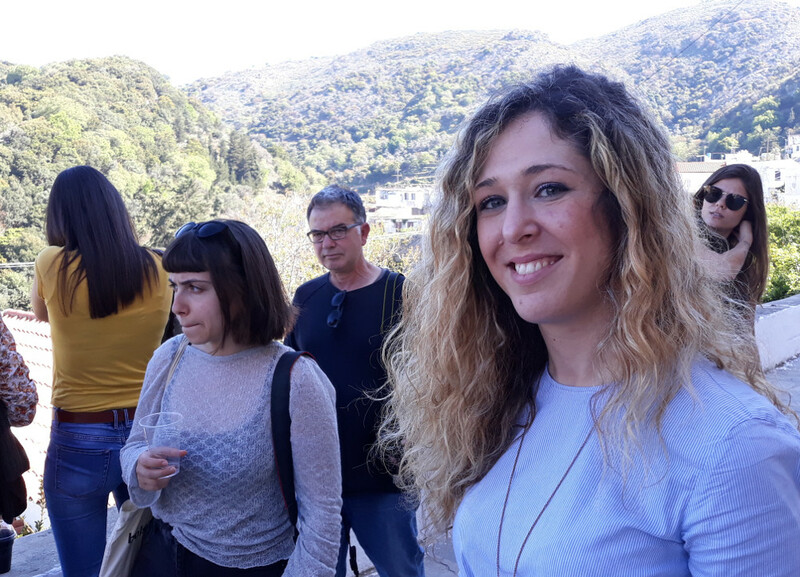 As our pal, Crete Urban Adventures owner, Rebecca Skevaki carried our big party on a highly informative and circuitous tour around the town, our friend from EyeWide Digital Marketing, Anastasia Chatziioannou waved wildly at me from up ahead. I’d separated from Mihaela and the frontrunners, you see, so of course I was puzzled by the girl’s seemingly peculiar behavior. Finally, I reached her plodding up the village street. “Phil, Phil, somebody’s taken your wife off into the woods,” she exclaimed. I wish I could explain the expression on her face. Anastasia is a beautiful girl with striking curls and big sparkly eyes – eyes which gained luminosity at the insinuation of her alarm. “Oh, that’s only Manolis, Anastasia,” I told her blandly but with a smile. 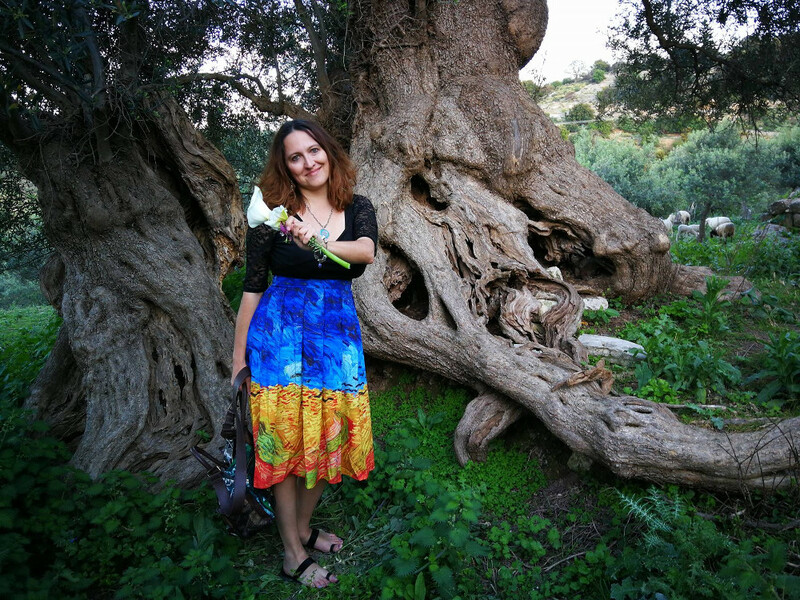 As it turned out, I was right, but old Manolis had not only Raki-napped Mihaela but our new friend Anula Galewska, Business Manager at Urban Adventures. A few minutes farther along in the tour of the magnificent old village and the two pretty girls showed back up, a bit better off for the adventure, if I may. We had a few chuckles, the few of us, over Manolis making us all feel like official Argyroupoli community members so easily. The rest of the weekend events stained our memories a colorful shade of “oh my” – but the real rock star of Argyroupoli is kindness, kindness in the form of a sixty-something-year-old unofficial historian and goodwill ambassador. We’ll never forget Manolis. For the silent gestures, he and I shared sitting at a sidewalk cafe. For the endless supply of giant firecrackers, he delighted Paul with. For the steady hand on the tap of a big jug of Crete’s finest Raki, and the anxious drops that fell out of a desire to serve a new friend. Oh. And thanks to Manolis Neonakis for reminding us again why we moved to Crete. The generosity and warmth of these people cannot be found anywhere but here. So, contact Manolis on Facebook, tours started and end at FREE.